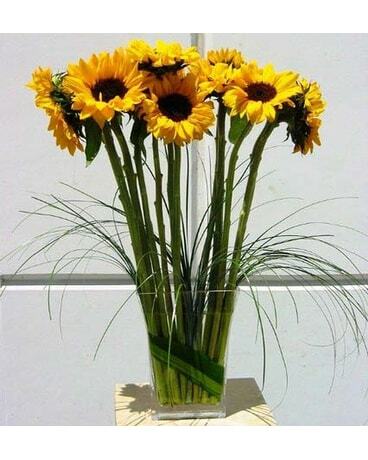 Ten large sunflowers arranged in an unique glass vase with bear glass. (Vase or container may vary and subject to change due to availability. Local purchase only).